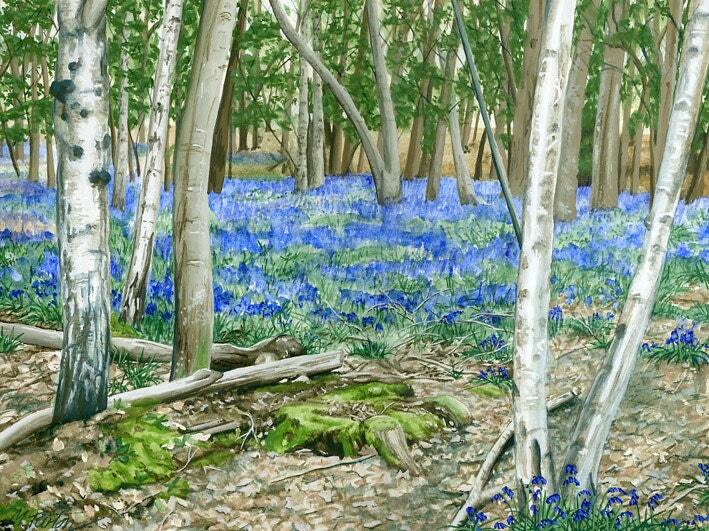 'The Bluebell Glade' from a watercolour by Margaret Turton. 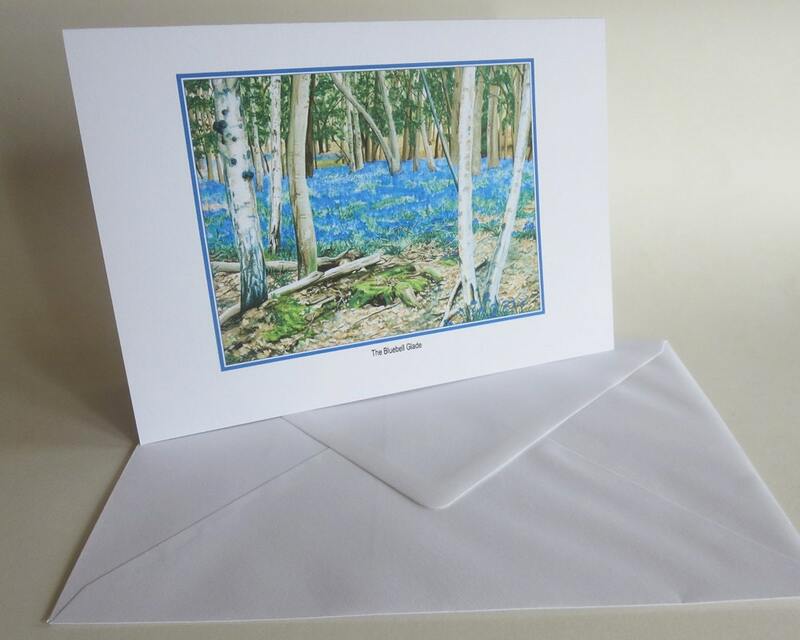 Blank Greetings card for any occasion. A5 card, large enough for big kisses or added invitations, brochures etc.